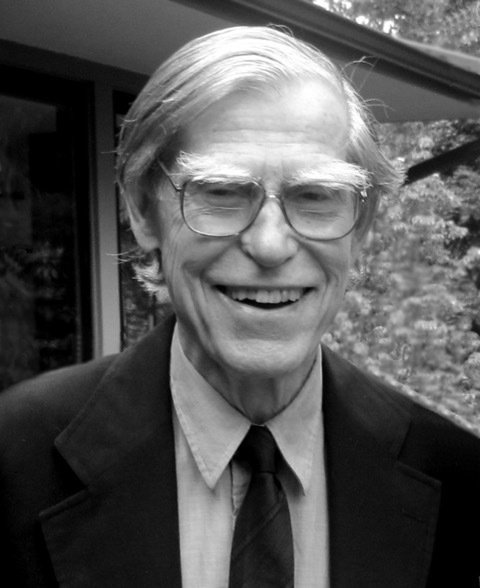 George Pitcher (1925-2018) was a member of the Philosophy Department at Princeton 1956-1981. Born in West Orange, New Jersey, on 19 May 1925, Pitcher was educated at the U. S. Naval Academy, graduating in 1946 with a Bachelor of Science degree in Electrical Engineering. He was commissioned as a lieutenant and served three years active duty on ships in the Atlantic, the Mediterranean, and the Caribbean. In 1949 he began studying philosophy as a graduate student at Harvard, but his graduate studies were interrupted when he was recalled to active service in Korea. He returned to his graduate studies at Harvard in 1953, spending a year at Magdalen College, Oxford, on a Sheldon Traveling Fellowship in 1955-56. Pitcher joined the Department of Philosophy at Princeton as Instructor in 1956, submitting his PhD at Harvard a year later. Shortly after moving to Princeton, Pitcher met the composer and music scholar Edward T. Cone, and they began a loving partnership that lasted until Cone's death in 2004. Pitcher became Assistant Professor at Princeton in 1960, was promoted to Associate Professor in 1963, and Professor in 1970. Retiring from the University in 1981 after twenty-five years of service and at the age of just fifty-six, Pitcher continued to live in Princeton until his death on 12 January 2018 at the age of ninety-two. Pitcher wrote three influential books: The Philosophy of Wittgenstein (1964), A Theory of Perception (1971), and Berkeley (1977). In 1965-66 his achievements as a scholar were recognized with the award of a Guggenheim Fellowship. He was also a dedicated Departmental citizen, serving as Acting Chair and Associate Chair during the period when the Department appointed a number of stars and the graduate student body almost tripled. At a time of great change it was Pitcher who kept the wheels of everyday affairs turning. His undergraduate courses included "British Empiricism" and "Special Topics in the History of Philosophy," and his graduate courses included "Problems of Philosophy," "British Empiricism," "Theory of Knowledge" and "Philosophy of Mind." However the very thought of teaching made him anxious, so with Cone's support he retired early, becoming Emeritus Professor of Philosophy in 1981. In retirement, Pitcher indulged his passions, playing tennis, bridge, and classical piano, and from 1992 he served as a trustee of the Edward T. Cone Foundation, a major benefactor of numerous cultural and educational institutions, including Princeton University, the Institute for Advanced Study, the Princeton Symphony, the D&R Greenway Land Trust, and the Princeton Festival. He also achieved success as the author of a beautiful memoir, The Dogs Who Came Stay (1995), which Publisher's Weekly describes in the following terms: "When a pregnant dog turned up in their backyard, the two middle-aged bachelors agreed that there was no place for it in their lives. Then the dog, which had dug a hole under the toolshed, gave birth to seven puppies. The author and his friend Ed, both of whom teach at Princeton, accepted responsibility temporarily, even though the mother was a feral animal, wary of humans. With infinite patience, the pair won her trust and acceptance. Meanwhile, the two men were captivated by one of the pups, Remus (they named the mother Lupa). They found homes for the other pups and settled down to a life centered on Lupa and Remus. They took the dogs with them everywhere—to France on the QEII, to restaurants, to visit friends. In the end, writes the author of this irresistibly endearing memoir, Lupa taught him about love." Pitcher came to the public's attention again in 2004 when the publication of John Gielgud's letters revealed that he and Pitcher had become friends in 1955, the year that Pitcher had visited Oxford as a graduate student. The letters also revealed that Gielgud had remained close friends with both Pitcher and Cone right up until the actor's death in 2000. In the last ten years of his life, Pitcher became the central figure in a group known as "The Gang", a group of graduate students from a variety of academic disciplines and public intellectuals who would meet each week for dinner at his house. Pitcher's affection for the members of The Gang, and theirs for him, is summed up by one of its members, Will Evans *13 who graduated with a PhD in English: "George offered something more profound than mentorship: his unconditional love. He was far too modest to talk about his own considerable accomplishments as a philosopher. Instead, through his example, he reminded us of the values which first drew us to the liberal arts, but which are often forgotten amid the strange pressures of graduate school: civility, curiosity, generosity."